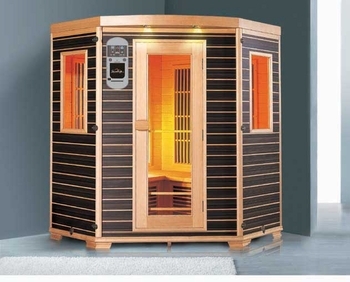 Three person corner infrared sauna is made of hemlock wood and includes dual control panels. It is an energy efficient sauna with a short preheating time. 59.1 x 24.5 x 48" x 24.5" x 59.1"